When you’re pregnant, there will be days where you will be in awe of your growing belly, flaunting your new bod in the most fashionable wear. There will also be times where you won’t feel so fabulous and finding something that fits, much less flatters your bump, seems an impossible task. This collection of fashion forward maternity wear ticks all the boxes for style and comfort while embracing the beauty of motherhood. Rosie Pope is the go to maternity label for New York mamas-to-be. The clothes meld current fashion trends into something for every stage of your pregnancy, courtesy of a mum of four who understands. Or feel on top of the world in this simple yet stunning Audra Dress, a comfortable piece that works both for special occasions or days at the office. Priced at US$178 all eyes will be on you wherever you go, with everyone in awe of your impeccable pregnancy style. For cooler days snuggle up in this classic V-Neck Sweater, made from fabric that is extra soft and resistant to pilling. Designed with a slight dolman sleeve and extra darting about the waistband, the knit is priced at US$148. The tailored look to the jumper makes it the perfect pick for everyday wear that will quickly become a wardrobe favourite. Stripes are a staple for me and Rosie Pope’s Long Sleeve Sylvie is a personal favourite. The long sleeve shirt gathers at the sides and hugs your belly to complement your new shape. 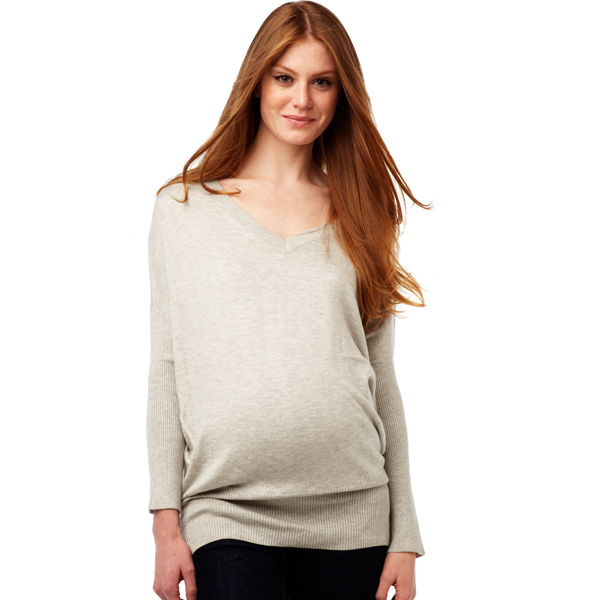 Priced at US$68 this shirt is a basic yet gorgeous maternity staple. 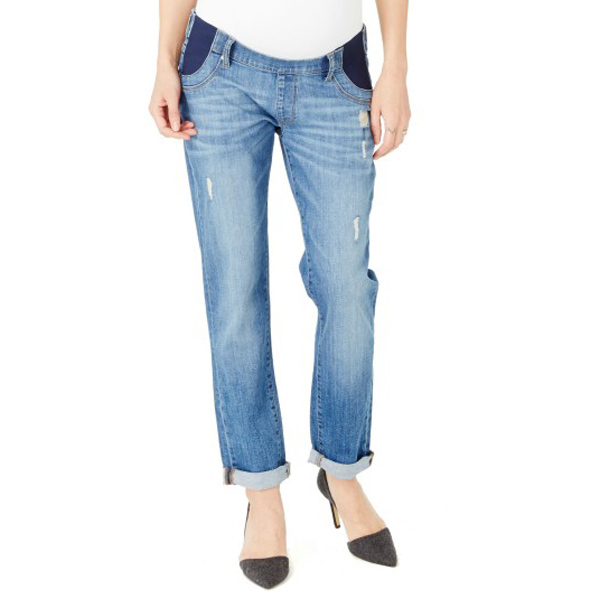 We all need a pair of boyfriend jeans in our life and the Riley, Dilorios are a pair all expecting mothers should have. The slim fit jeans have hidden stretch pockets for comfort and promise to keep their shape. You may find yourself wearing them well after your baby is born due to their stylish look and comfortable fit. Priced at US$168. See the rest of this winning collection online at Rosie Pop.